Size: 1 in. by ¾ in. 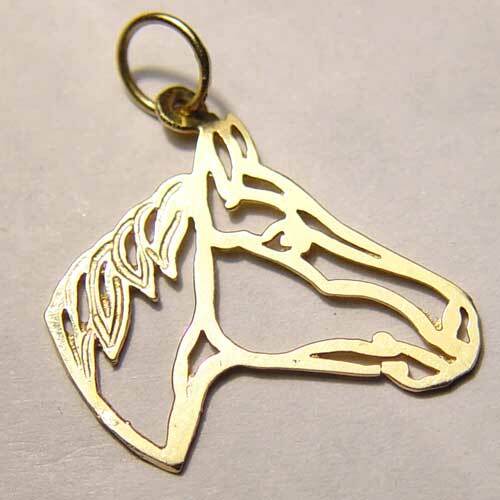 Desc: 14 karat yellow gold filigree Quarter Horse head pendant.